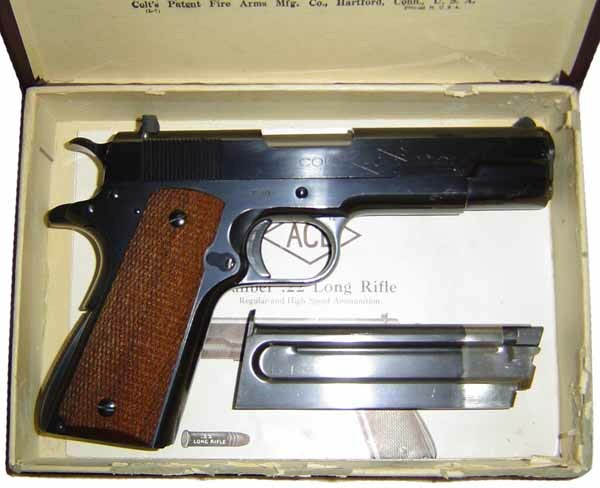 Pre-war Ace Model .22 blue, serial number 7540 in original box - circa. 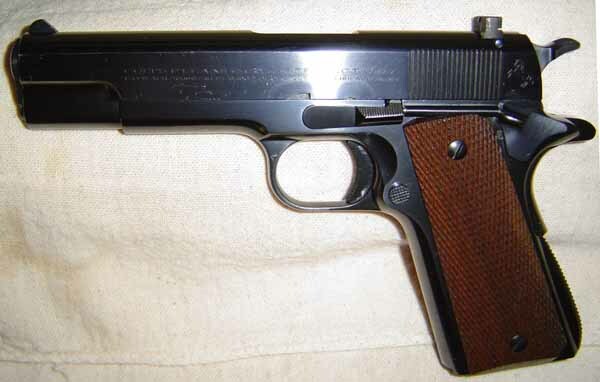 1937-38, with original finish, late front sight and two-tone magazine. The left side slide marking has two lines, one is the address, the other just under, are the patents (1913), the rampant is not just after these two lines, but behind the serrations close (of the hammer), the right side is: Colt ACE .22 Long Rifle. 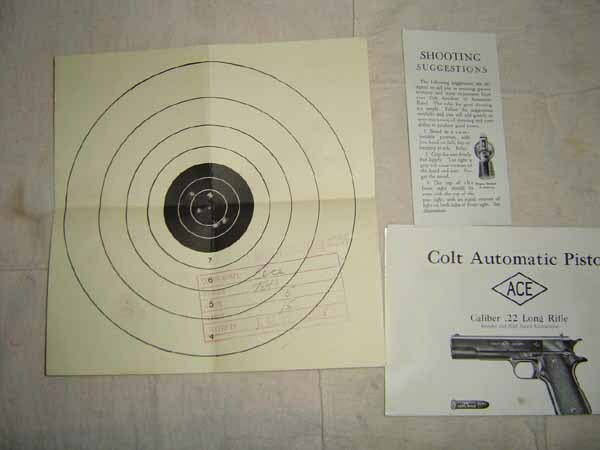 Colt Ace box accessories - Original test target numbered to the gun, instruction sheet and shooting suggestions. Colt Ace end label from original box numbered to the gun.